Bhutan is a place rich with scenic landscapes that one can find nowhere else. With breathtaking beauty of nature and also host of attractive tourist spots, Bhutan is an ideal place for visiting with friends and family. Located in Gorakhpur, Uttar Pradesh, Indonepal Kakaji Travels is providing variety of travelling services and tour deals to the esteemed clients. Rich with culture and with an ethnic background, there are various places cultural interest in Bhutan. 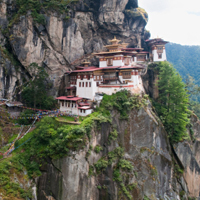 Also, Bhutan has various other places of interest such as national parks, monasteries, temples, museums, etc. that are visited by lots of tourists every year.